With the advent of industrialization and growing economic demand, United Kingdom saw the huge upsurge in the number of start-ups that were flourishing with each passing day. With its strong economic policies and vigilance centers, UK didn’t allow any start-up to involve in cases of forgery or misleading accounts statements. Keeping in mind the then scenario and the immediate need for tax professionals and accountants in Wolverhampton and nearby areas, DNS Accountants came into being to provide a supporting hand to all the small businesses that could not afford bigger accounting companies but needed expert accountancy and taxation professionals to help them with their complicated business issues. At DNS accountants, we make sure that all your accounting needs are taken due care of, and none of your concerns are left unaddressed because doubts give way to strained relationships. With DNS accountants at the helm of affairs, tax planning, and tax savings become significantly easy as our local accountants in Wolverhampton offer expert guidance in all taxation related matters. These qualities of ours stand vindicated by the numerous nominations we’ve received over the years. We’ve even won awards and certifications for excellence in service during our 11-year tenure. An IPSE certified accounting firm, DNS Accountants, extends all kind of accounting services through our Wolverhampton Accountants and make sure you that you get the right services at the right time. Wolverhampton is a city in the West Midlands of England. This sunny city grew as a trade center of the woolen business. With the everlasting impacts of the industrial revolution, coal, steel production, lock making and manufacture of cars and motorcycles became a growing source of earning for a majority of the population. Till today these occupations are existent, and a lot of families are still involved in these businesses. With modernization came newer and improved of sources of income like the service sector, engineering and aerospace industry. Need for accounting firms grew in the years 2004-2008 when a lot of new start-ups saw the light of the day. By 2008, however, the market was predominantly being controlled by the service sector. 32.8% of the entire population employed works in the service industry now. This led to an increased demand for accountants in Wolverhampton to address the accountancy and financial services requirements of every business. Wolverhampton, being start-up friendly, is home to a number of small and big names in the car manufacture, construction, and banking sector. The policies favor small businesses, with various tax benefits being extended to them. Our accountants in Wolverhampton are involved in producing financial statements and documentation for the taxpayers. They perform several functions ranging from auditing tax accounts to verifying their authenticity for further submission/return. Our Local accountants in Wolverhampton completely understand the various regulations that a business must comply with if it has to function in the country. They offer their expert consultancy to our clients and help them avoid any potential confrontation with the authorities. Local accountants form the backbone of any framework and are very significant in the system. Bank statements, accounting records and all the background information that you wish to keep confidential and not reveal to anyone for caution purposes are kept safe and sound under our professionals’ care. You can trust us with that. We don’t leak out information of our clients for any personal gains. That is just not us. Our chartered accountants in Wolverhampton handle the work of maintaining records of company accounts, filing taxes, preparing year end accounts, Tax return preparation, general administrative tasks, and bookkeeping. Tax planning and tax preparation, although separate terms, go along with the same meaning. Based on what one earns, subsequent taxes have to be paid. A dubiously lower amount of tax against a higher income invites the ire of the vigilance and brings a bad name to the business. Our experienced Chartered Accountants in Wolverhampton make sure that all the processes involving the filing of taxes and account verification are done well within time to avoid any late penalties. A collection of documents and digitized records, typing of reports, spreadsheet preparation, and similar bulk works are also taken care of by our expert team members. The specific numbers in the balance sheets are pretty essential as the smallest mistake can put a company’s name in the defaulters’ list and consequently lead to the initiation of inquiries by the HMRC which involves serious penalties. The growth of a start-up or any business is assessed by the increase in the market value of shares of the firm. It can also be measured in terms of the revenue collected yearly or the annual turnover, as we call it. Business growth of start-ups is extremely significant for an economy to become financially strong. Business growth, as assisted by DNS accountants, is a concept that helps the businesses with capital gains in the firm’s wealth at the same time it means that the company has enough resources, and they are being allocated properly. A legal requirement, auto-enrolment, makes available pension schemes for eligible employees. This is a prerogative of businesses to make their eligible and contributing employees proud pensioners. Also, the pension calculations need to be accurate too. The benefitting service of auto-enrolment is also provided by DNS Accountants in Wolverhampton. At DNS, we make sure that you get the accurate payroll so that you are well in compliance with HMRC and government guidelines. To guarantee 100% IPSE certification and IR35 certification and compliance with industry standards. 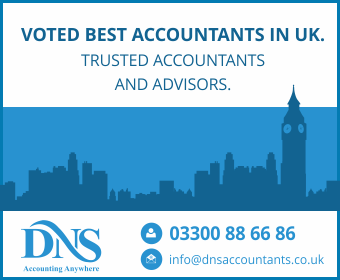 This service provided by DNS’s chartered accountants in Wolverhampton helps in the administration of accounts with firms whether they are established businesses or newer start-ups. Management accounts as a subject deals with managing the accounts of the owner of a firm and provide a proper cover in case of any mistakes that may occur. Bookkeeping and account management is a highly important task when it comes to filing tax returns and VAT on products and services. The management accounts services offered by DNS helps the owners realize the true financial health of the business. Tax planning is also a major guidance provided by DNS. Preparing balance sheets that correctly depict the actual position of a company and filing tax returns forms within time are very necessary for any business, and us at DNS take proper care of these matters. Here is a concise list of some of the major services provided by DNS Accountants for its clients through our proficient local accountants in Wolverhampton. Everyday bookkeeping and keeping track of the records makes it easier for business owners and management to file reports at the year end. These year-end reports are specifically significant for small businesses when they file their taxes. A cumulative and comprehensive report makes the start-up seem more accountable and opens new doors of finances. It becomes even more essential to file year end accounts with clarity to avoid any post-filing defaulter allegation. This brings a bad name, and none of us wants that. DNS Accountants in Woking provides professional accounting services that give the absolute control in your hands. You only have to pick and choose the component you need, and we will successfully deliver it to you as per request. Not a component here or there. With our year end accounts services, we make sure that you are aware of how much tax is to be paid and how much advance tax is to be paid to keep you out of the danger zone always. A body of the largest number of freelancers, contractors, consultants and professionals in the European Union, the IPSE is an abbreviated form of The Association of Independent Professionals and the Self-Employed. We provide all sorts of help in sectors, both public and private, to ensure gains for our clients. We provide legal and tax assistance, IR35 support as well as compensation for the members in case of inability to work due to any unavoidable circumstance. Along with providing Accountants in Woking, we also extend our services to nearby regions of Egham, Guilford, Staines, Sunbury, Brookwood, Birmingham and Slough to help the businesses there survive and thrive like all our clients.